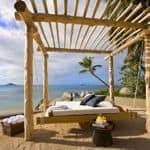 A Caribbean villa holiday has little to do with self-catering. Even the smallest properties have a daily maid who may also do your cooking, while larger houses come with a full brigade of staff to shop, cook, launder and even fix your favourite cocktail. It makes the holiday surprisingly affordable, especially if you avoid the peak season. 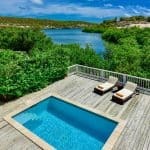 Our portfolio of stylish Caribbean villas includes beachfront cottages, romantic hideaways and elegant private estates to suit couples, groups of friends and families alike. Many of our properties are bang on the beach with a private pool, and air-conditioning included in the price. We have villas that sleep from 2 up to 20 in Antigua, Barbados, Grenada, Jamaica, St Lucia and Tobago – all with direct flights from the UK. Or you can take a short hop from Barbados or Antigua to reach one of the smaller islands such as St Vincent & the Grenadines or Nevis (also accessible by boat from St Kitts). If you wish, you can head off to the market to buy freshly-caught snapper, local lobster and tropical fruits. However, at most of our villas a private cook is included, so all you need to do is pull your lounger next to the pool, take a sip of your rum punch and decide what you fancy for dinner. Smugglers Nest and La Bagatelle in St Lucia are two of our most popular and romantic houses, ideal for honeymoons. Both have beautiful open plan interiors, private pools and a housekeeper to clean and prepare meals. 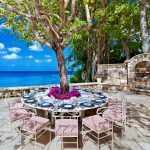 Java Bay, sleeping up to 10, is one of the most stylish villas on the exclusive west coast of Barbados. This contemporary Balinese-styled home features a 15m infinity pool, 180 degree views, iPod dock, wifi, private courtyard with a daybed and outdoor spa bath and cinema room. Rolling Surf in Grenada is a luxurious villa with an infinity pool, sleeping up to 8. It enjoys a waterside setting, just yards from a beautiful beach, with the famous Calabash beach bar, Gary Rhodes Restaurant and a PADI dive centre within walking distance. See more about CV Travel’s collection of luxury Caribbean villas.